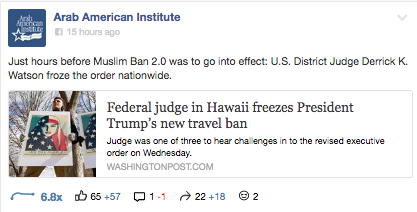 A federal judge in Hawaii has blocked the Trump administration's Muslim Ban 2.0. Here were some of the top-performing social media posts celebrating the win. What can we learn from the posts? 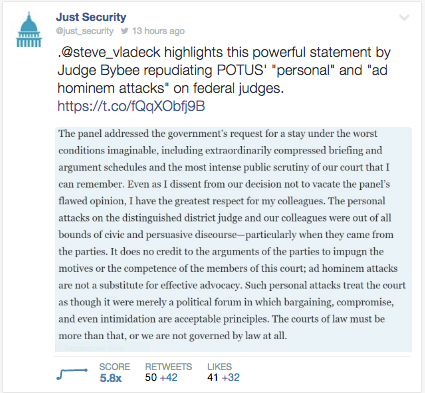 They clearly frame the judicial order as a win – and they own the win. 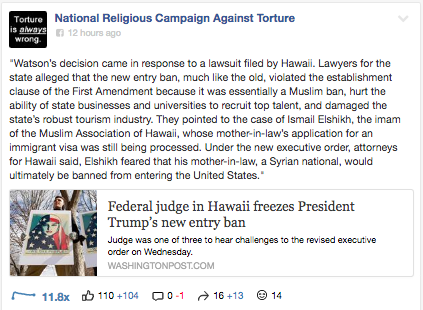 They draw attention to highlights of the ruling, not just pointing people to a PDF of it. 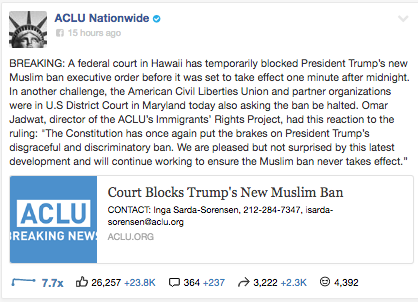 Some provide real-time reactions from the people involved in the legal fight (like the second ACLU Facebook post). 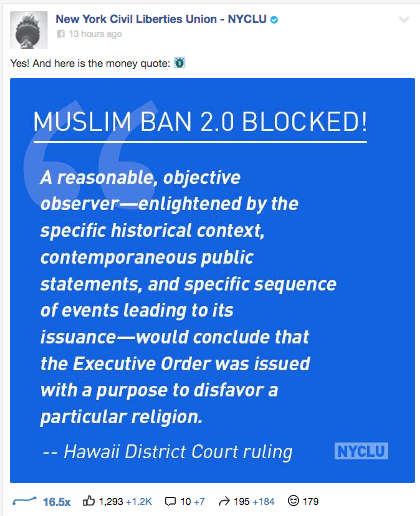 They point to other Twitter users sharing important insights (like the NYCLU tweet, first Just Security tweet, and second ACLU tweet). They indicate that the fight isn't over. I love the Just Security tweet telling people not to go to bed yet. And, of course, most of them have visual elements, especially on Facebook. 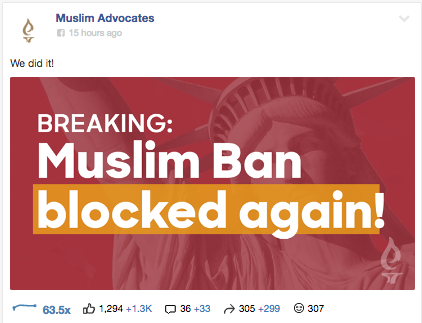 This optimizes content for Facebook's algorithm and helps capture users' attention on their News Feeds. Note: To do this research, we used CrowdTangle, one of our favorite *now FREE* tools. 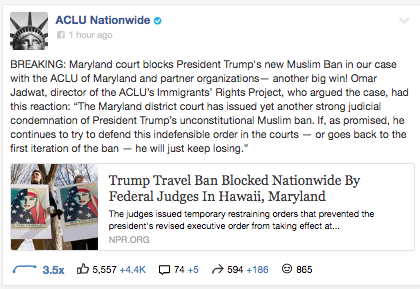 What were your favorite posts celebrating the win (or pushing back against the Muslim Ban)? Tweet to us @rethink_media and let us know!